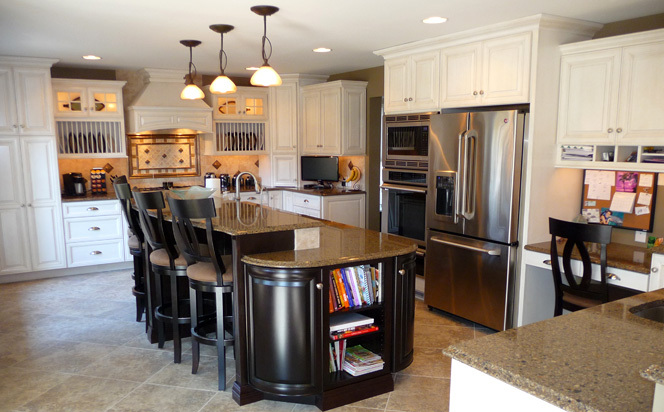 If you love your location but want more from your home, our remodeling services are for you! Paragon Design & Construction is a remodeling company with experienced designers and a skilled team of contractors. Our promise is to clearly and honestly communicate project schedules and production status, during the entire construction process. Our highly organized team work closely together from the initial design consultation, to the final walk through. We strive to exceed your expectations. We believe in educating our customers, so that together, we can determine the most suitable products to use for your remodeling project. Our intention is to build value and equity in your most valuable possession, your home. Come in and ask for the “cost vs. value report” and help quantify the benefits of a home remodel. We sell a variety of products that cater to all styles and budgets. Whether it’s interior and exterior moldings, windows, doors, roofing, siding, masonry, cabinetry, flooring products, plumbing and electrical fixtures; our design build team marries form and function to produce custom home improvements that will stand the test of time. Paragon Design & Construction is a member of the Lancaster County B.I.A., The Lancaster county Chamber of Commerce, The Better Business Bureau (BBB), and the National Kitchen and Bath Association. We adhere to all of the policies and standards of professionalism that these organizations require for membership. Paragon Design & Construction can help you with any project. We want you to benefit from our network of knowledgeable contractors and seamless design build process. Paragon Design & Construction's honest and conscientious business partners are sure to make your renovation a success. We stand behind all of our work and know that you will be pleased with the level of commitment we bring to every project we do. We take every job personally and practice the same level of care we would expect on our own homes. ©2013 Paragon Design & Construction, Lancaster PA. Home Remodeling & Additions.